Last Fall, “Orbital Redux” broke new ground for streaming entertainment as a live, scripted multi-episode sci-fi drama in which the audience determined the outcome of the action. One of the most fascinating films of 2018 can still be seen on the Project Alpha Web site. It’s called “Orbital Redux” and you can get a sampling of what it looks like on YouTube at this link. But I intentionally did not choose that footage as the cover shot for this story because it misses a lot of the real fun of the project. You see, when the opening of this eight episode series premiered on September 27th, it was the first world’s first attempt at a live, scripted, sci-fi adventure that even had audience participation as part of its plot structure. Now that’s called dancing on a tightrope without a net! If you don’t believe it, you can go to the Project Alpha site and take advantage of their free trial (or just plunk down $4.99/month for a subscription). It’s cheaper than a ticket at your local Cineplex, and you can bring your own popcorn. The interior of the ship Tsiolkovsky is a "Redux" version of NASA in its Apollo glory. Click to enlarge. Shot by writer/director Steven Calcote of Butcher Bird Studios and cinematographer Steven Moreno using mostly Blackmagic Design equipment. The story has to do with space jockeys Zachery “Max” Levodolinksy (played by Yuri Lowenthal) and his rookie partner, Tommie, (Yasmine Al-Bustami) who are piloting a cargo ship, the Tsiolkovsky, from the moon to the earth hauling precious Helium 3. Before describing how the show was put together, I wanted to know how such an ambitious project ever got off the ground. So my first interview was with executive producer Lillian Diaz-Przybyl. 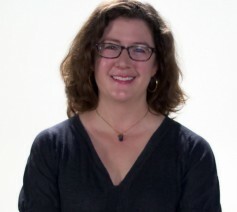 It turns out Butcher Bird Studios (the name is a colloquial reference to a shrike, the smallest bird of prey) has been involved with live streaming projects since 2016 for clients such as Airbnb, the National Parks Service and National Geographic. "Still, what really sold them was the interactive aspect of the production. When first streamed, there would be a live end tag during which the audience would be asked to fill in some story points. 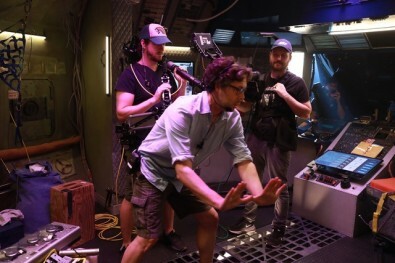 Writer/director Steven Calcote (center) frames a shot on the set of “Orbital Redux”. On his left is Steadicam operator, Bill Hunt, and on his right, cameraman Nick Novotny, both shooting Blackmagic Design Ursa Mini Pro 4K cameras. Click to enlarge. Later, in episode five, the audience decided whether the disaster caused by space junk hitting the Tsiolkovsky would result in either an electrical failure, an on-board fire or an exploding steam pipe. Because this would affect the rest of the story, even leading to a spectacular zero gravity space walk in the final episode, Al-Bustami had to improvise on the spot for the unexpected emergency the audience had chosen for her. Writer/director Steven Calcote based his concept for “Orbital Redux” on his love of NASA during the exciting Apollo mission days, and conceived the interior of the space freighter, Tsiolkovsky, as being jam packed with wires, knobs, dials and switches. 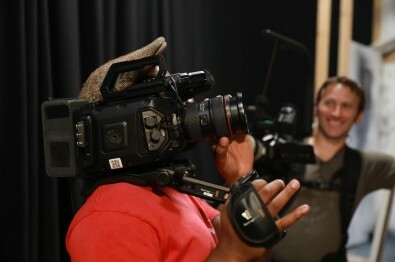 But the equipment Calcote and his crew used to shoot it with was very cutting edge. 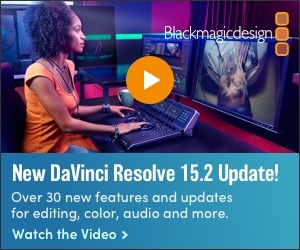 “We’ve always been a Blackmagic Design house,” he told me. The 10 cameras Butcher Bird Studios employed on the shoot, a mixture of URSA Mini Pros, URSA Mini 4.6K and Micro Studio cameras, each controlled with an ATEM 1 M/E Advanced Panel, were all fed into HyperDeck recorders to capture isolated feeds. The cameras’ signals were routed through an ATEM 2 M/E Production Studio 4K for the live cut, and an additional Blackmagic ATEM Television Studio Pro 4K was used to switch internal monitor feeds to give the actors video images to react to on set. As one can imagine, the c.g. work to create the Tsiolkovsky, accomplished by VFX Nova under the supervision of Victor Wong, was the only pre-canned element of the show. Creating a realistic c. g, spaceship was the only part of “Orbital Redux” that could not be a live part of the production. Click to enlarge. Naturally, I’m not going to spoil the outcome of the story, although whether the main characters survived or not was ultimately determined by audience input. But there is one unforgettable scene in the final episode where Max has to go outside the ship to make repairs to a ruptured Helium 3 tank. Yes, a live, zero-G space walk with no re-takes! To mix metaphors, with “Orbital Redux”, Butcher Bird Studios has gone where no sci-fi show has gone before. Fortunately, thanks to the internet, it will live in cyberspace until the galaxies fade. But you’ll never be able to recreate the unique experience of seeing it live, as it was first presented. But don’t discount the possibility of a sequel. Nice work on your “Orbital Redux” article! Thank you so much for your enthusiasm, insight and expertise. In their latest hyper-realistic VR weather warning, The Weather Channel helps viewers better understand the potential dangers created by ice storms. The Intel True View allows a production team to recreate selected clips in 3D from any vantage point in a stadium or even from a player’s perspective.